This was OK - there were definitely some spots I skimmed over because I just didn't care to read them. Primarily these were a couple of particularly violent/gross parts. The mystery itself was interesting enough, but the characters were a little odd for me. The main characters were pretty cold and calculating, and there wasn't really anyone in the book who you got to really care about. There was also a lot of brand-name dropping - no one seemed to just wear shoes and a suit, it seemed like every single one was identified by brand, which got annoying. Anyway, if you liked the Harry Hole series you might enjoy this, but I wouldn't necessarily go out of my way to find it. 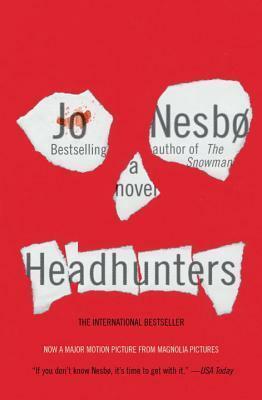 Sign into Goodreads to see if any of your friends have read Headhunters.